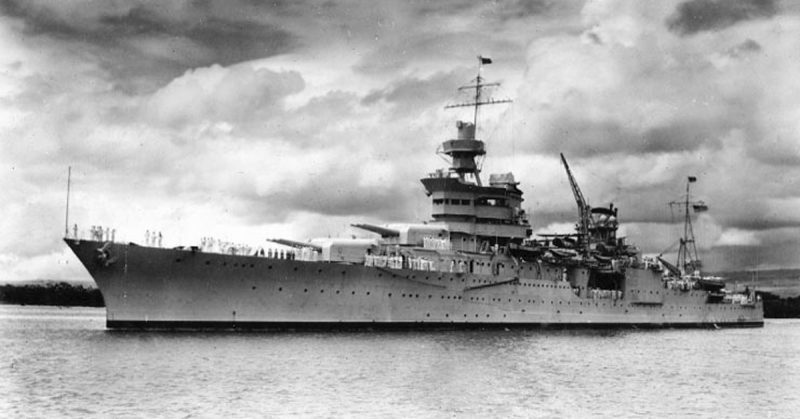 Just after midnight on July 30, 1945, days after delivering the components of the atomic bomb from California to the Pacific Islands in the most highly classified naval mission of the war, USS Indianapolis is sailing alone in the center of the Philippine Sea when she is struck by two Japanese torpedoes. The ship is instantly transformed into a fiery cauldron and sinks within minutes. Some 300 men go down with the ship. Nearly 900 make it into the water alive. 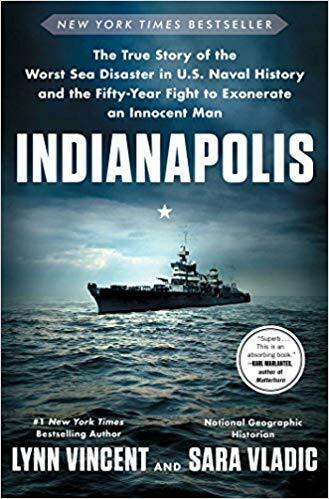 USS Indianapolis (CA-35). 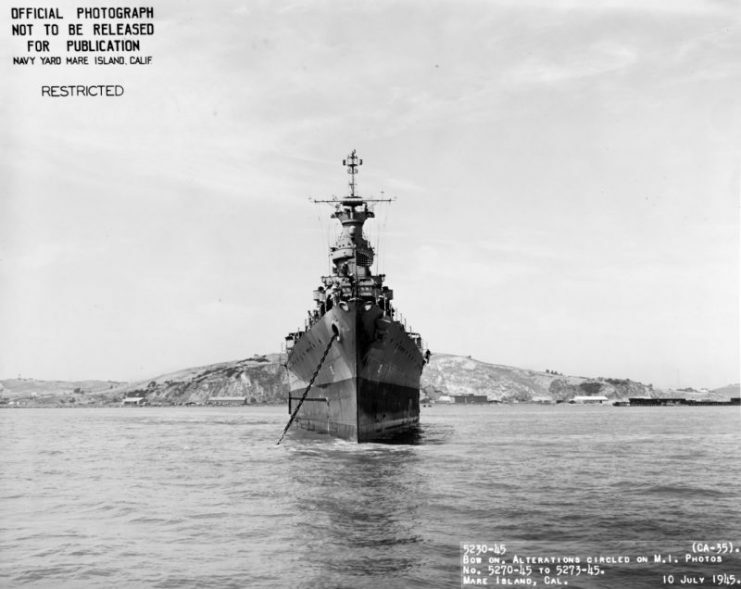 Bow-on view, taken off the Mare Island Navy Yard, California, 10 July 1945, after her final overhaul. Photograph from the Bureau of Ships Collection in the U.S. National Archives. For the next five nights and four days, almost three hundred miles from the nearest land, the men battle injuries, sharks, dehydration, insanity, and eventually each other. Only 316 will survive. USS Indianapolis (CA-35). 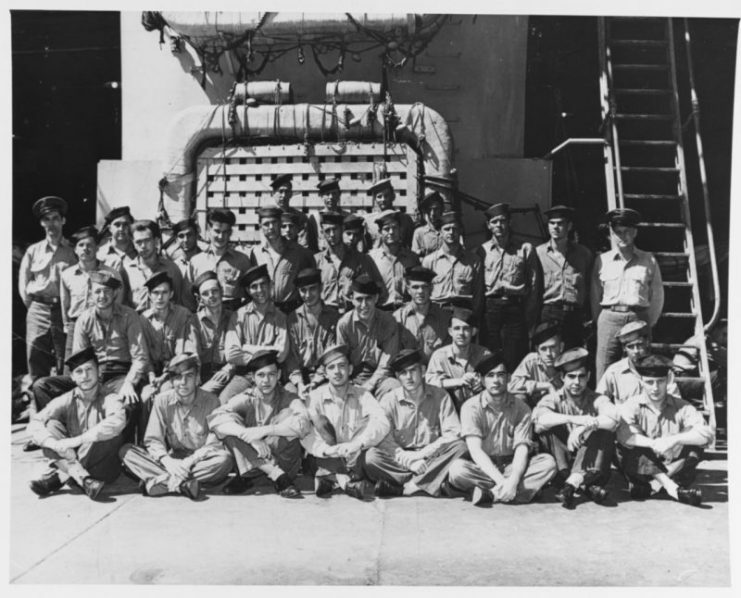 Members of the ship’s crew pose in the well deck, during World War II. Official U.S. Navy Photograph, now in the collections of the National Archives. Loss of USS Indianapolis, July 1945. 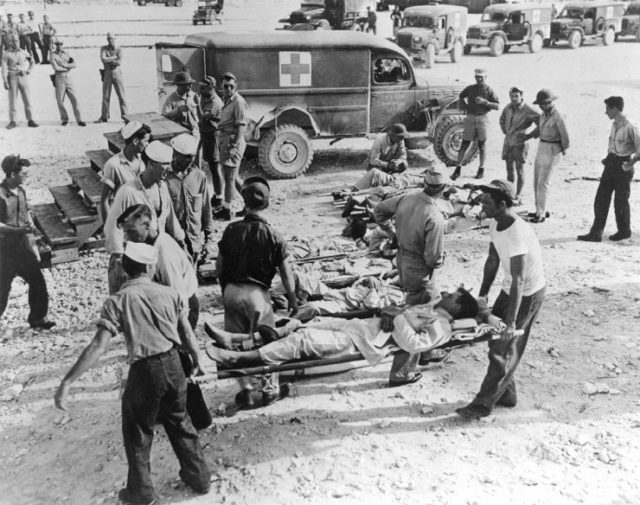 Indianapolis survivors en route to a hospital following their rescue, circa early August 1945. Official U.S. Navy Photograph, now in the collections of the National Archives.